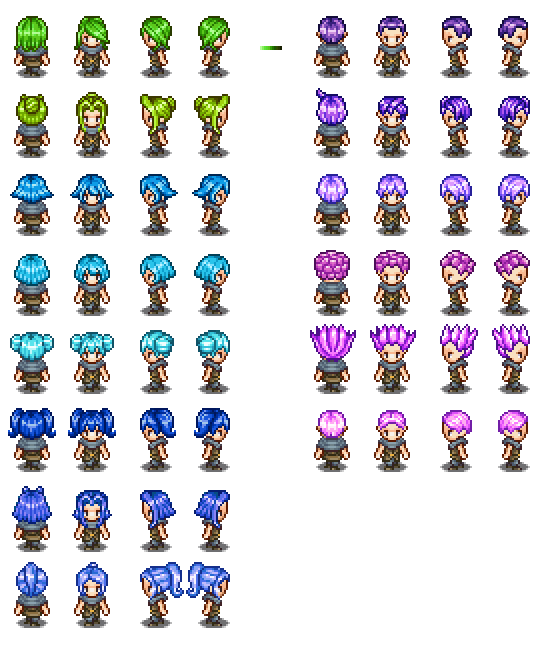 Aside from the obvious issues with the actual hairstyle sprites, I've also been incredibly underwhelmed with the color options we currently have in the game. This is an issue with the clothes as well (and that will be fixed at some point too), but it has mainly bugged me when it comes to the haircolors. 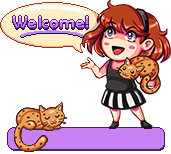 Basically I felt that meny of the palettes were made with little to no thought of how it'd actually look on the character, and more of a "well I guess color x should have 3 options as well". 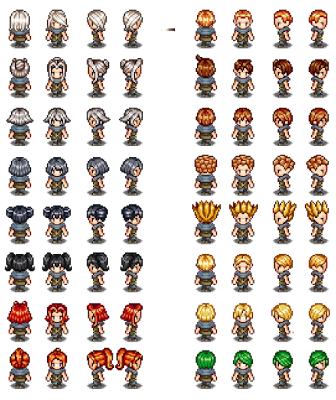 A lot of the color options were really similar, and many had really dull and non-vibrant colors as a result of bad recolor work. 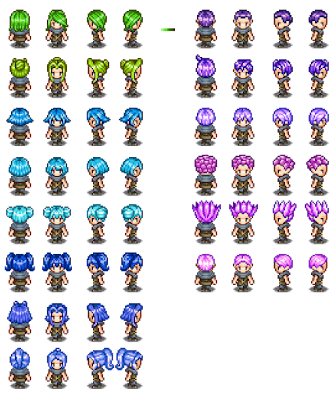 Some of these palettes may not look super different next to eachother, but that's mainly because of the different hairstyles. 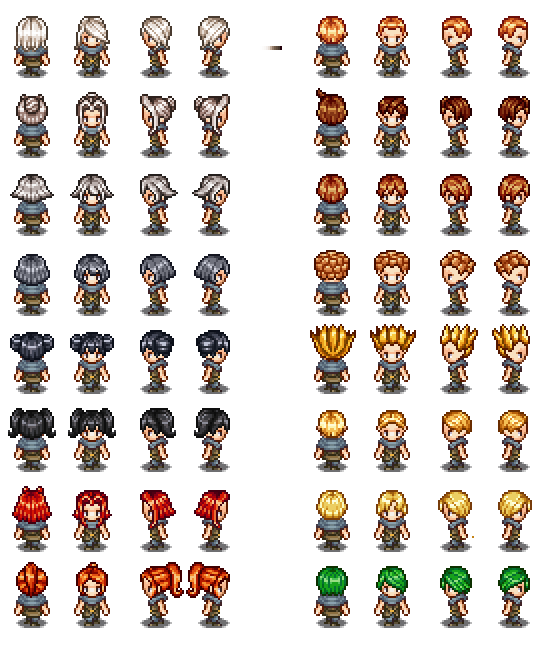 There will be a bigger difference between one color and the next when actually using the same hairstyle, the reason for this being that some hairstyles use a greater number of bright (or dark) pixels, making the overall color look brighter(or darker) than it would have on another style. I have a suggestion for the male spiked-up haircut. It looks a little bit rigid and crystalline to me. Perhaps consider revising it to be less "Dragonball" and more "Final Fantasy"?